This is a 6 inch Itihas Khukuri, Itihaas referring to History. It is replica of one of the famous Gurkha blade which has been in use since the first world war. The khukuri was used during the first world war which made the Gurkhas as well as Nepal famous in the world. 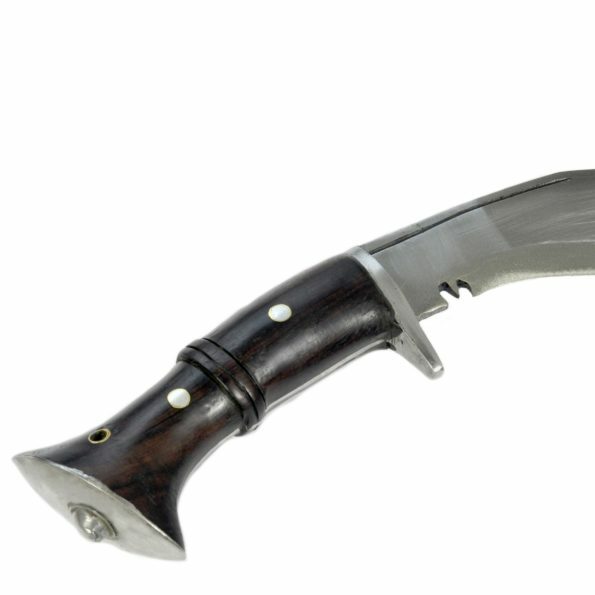 It is one of the most renowned Khukuri’s not just famous for its role in war but even amongst the knife collectors. It is one of the bestselling Khukuri’s. This particular one is a Custom made Khukuri of the Famous Gurkha Khukuri house. The blade of the Khukuri is made up of highly graded carbon steel (Car and jeep leaf spring, 5160). It is a full tang Khukuri . The handle is made Rosewood which are glued together by traditional Nepali glue called Laha. The handle has been modified by our factory in such a way that it’s more stable, comfortable and stronger than the one that was used during the World War. The modification gives the Khukuri a nice look along with better stability and endurance. There are two rivets securing the handle. 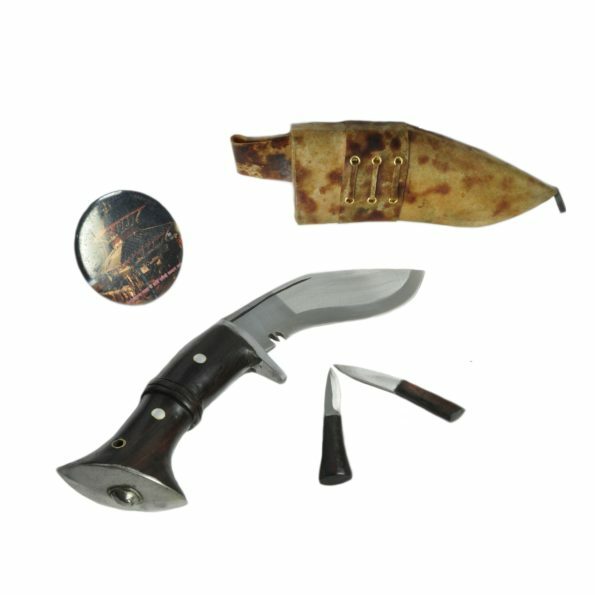 The Khukuri comes with a Scabbard which is made up of water buffalo leather infused with pinewood. 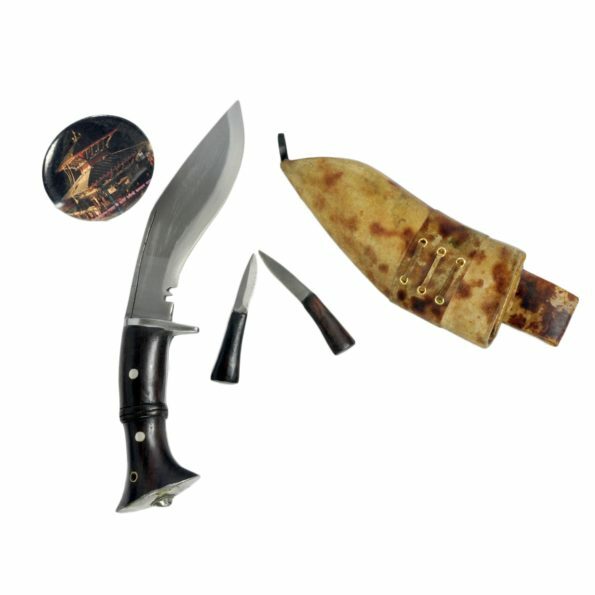 The Khukuri comes with two small accessory blades called Karda and Chammak. The handle is 4 inch and the blade is 6 inch. The overall length of the Khukuri is 10 inch. Handle Size: 4 Inch and and Full Tank blade handle. Weight: 500 gms ( 17 Oz Approx).